In Siem Reap, the famous The Ancient City of Angkor stays as the main focus as one of tourists spots and packed during the day-time. 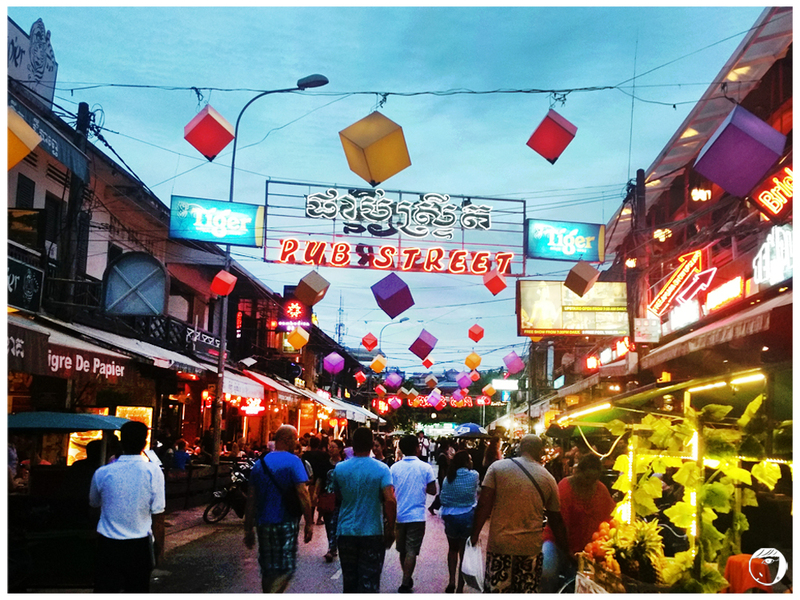 But at night, the Pub Street, Old Market and the Night Market areas are the liveliest. 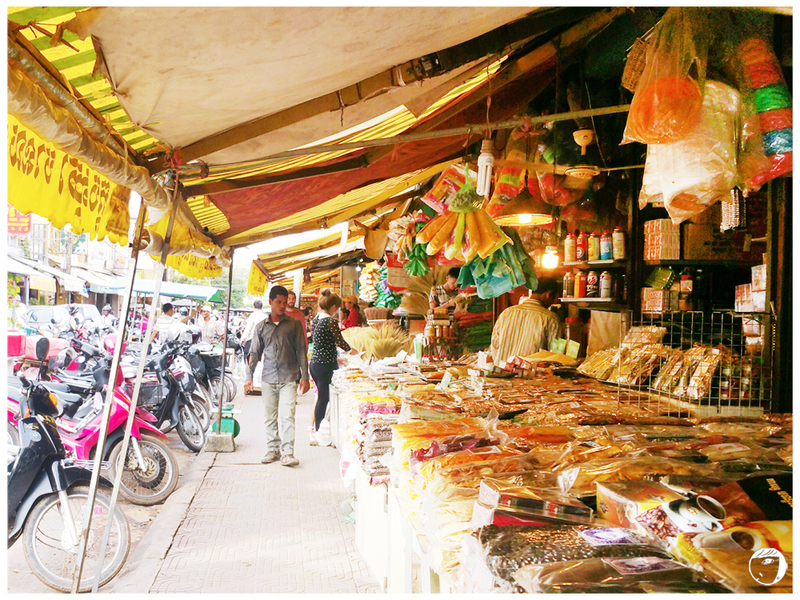 You can find almost everything here, from local Khmer to Western food, souvenirs, pubs and bars to body massage shops. Siem is a small town after all. The easiest way to go around is to get on a tuk-tuk (A two-wheeled carriages pulled behind a motor). This unique transportation is everywhere across the country and are marginally safer than motorbikes. The locals here are more friendly compared to Phnom Penh. It is safer for ladies travelers to explore Siem than Phnom Penh. 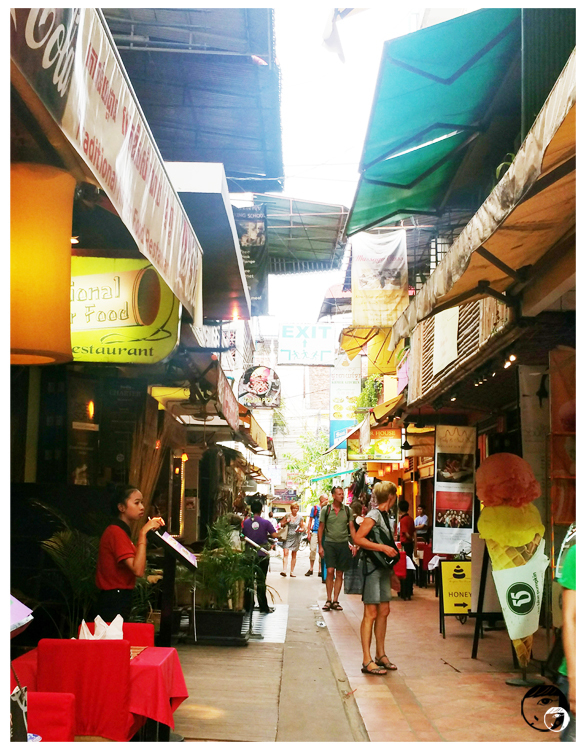 I had glimpses of Boracay and Phuket while exploring Siem Reap, especially the Pub Street. The night life here is not as vibrant as Thailand. But I would appreciate a quiet cocktail session more than loud music, particularly after walking the whole day exploring the temples under the hot sun. 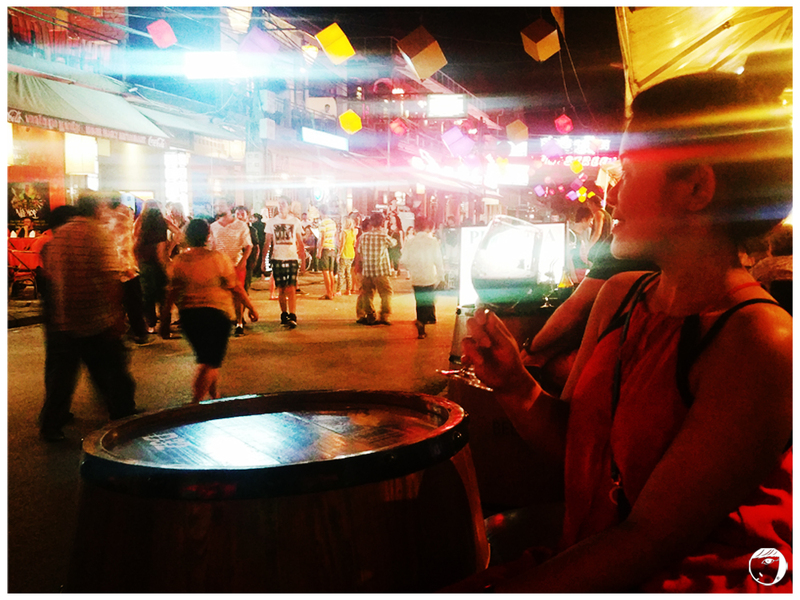 Sipping the local brand “Angkor” beer and people-watching, perhaps? Although Pub Street is alive the whole night long, doesn’t mean it is a zombie town on the daytime. There are still shops and restaurants open during the day. I did not get much things at the Night Market and as I walked around the Old Market, I found another small markets selling souvenirs and local goods. 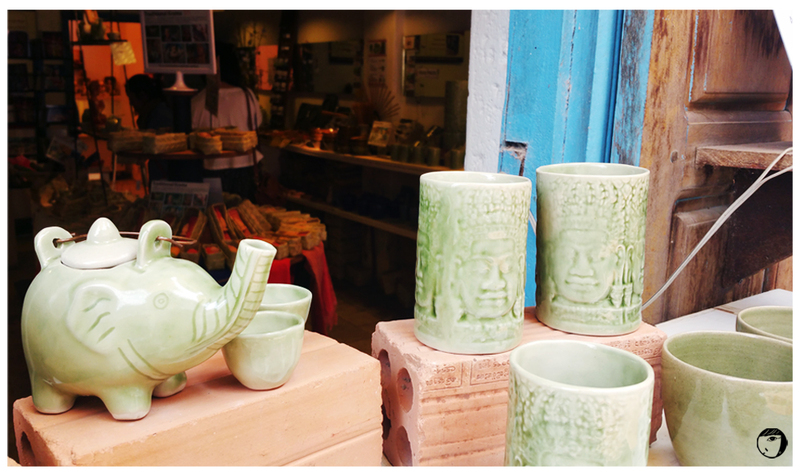 Traditional handicrafts it’s definitely a one-of-a-kind souvenir. What else you can do here? MASSAGE! 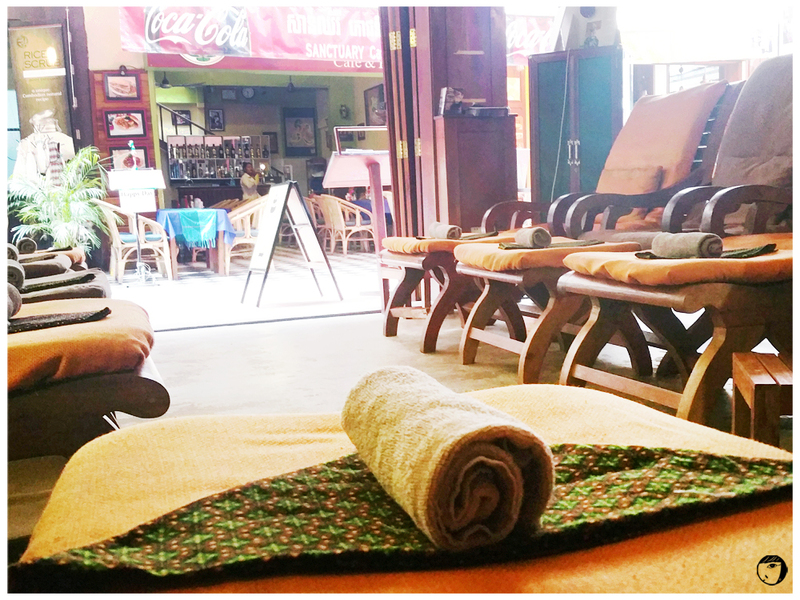 My holiday will not be complete without a massage session. Heaven!